CND Certified Shellac™ Spa & Salon. Choose a Shellac™ treatment and be confident in knowing our product is authentic and our services have been Shellac certified by Creative Nail Design. “On like polish, wears like gel, off in minutes!” Hypoallergenic with zero drying time. 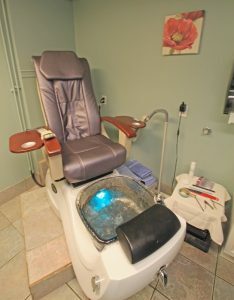 Includes nail shaping, cuticle care & hand massage. We are a CND Certified Shellac Spa & Salon. *Polish changes includes 1/2 price on a mini take home polish.